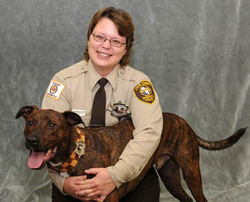 Thank you for signing the petition "Ask Topeka City Council Members to Stop Breed Discrimination"
N'd and Signed. I think #33, Thanks Cher. Noted signed and cross posted. Breed ordinances display the ignorance of those passing them. noted and signed and thanks! A dog is a dog, not matter what breed it is. They should all be treated with respect and humanely! Noted, signed #143, tweeted. This is a step in the right direction for those of use who don't believe in BLS! Thank you Cher! #145 You signed this petition on 09/28/10.